Are Divorce Settlements Like Games? Recently, ESPN2 presented coverage of the World Series of Poker. The game of choice was called “Texas Hold-em”. The rules bear a remarkable similarity to divorce settlement negotiations. In “Texas Hold-em”, players are dealt two cards down (“hole” cards), while five cards are dealt face-up (“community” cards). The players bet, with the usual bluffing, of course. The winner is the best 5-card poker hand of any combination of the player’s hole cards with the community cards. In divorce settlement, both parties have information which is held privately and information which is known to both parties. Both sides typically will know (or at least should know) some information, like the community cards in “Texas Hold-em.” In addition, each party has information which they do not share with the other side, the equivalent of the hole cards. For example, both sides typically know the vocational history of both parties and their present income. However, their future plans are typically held secret. Therefore, in negotiations, they “play” with the known factors and hold back on the secrets. The resulting negotiations lead to suspicion and mistrust, which may affect the relationship of the parties far into the future. Consider the following real life situation. The husband is offered a new position with his company. While accepting the position would result in substantially more income, it would also cause a major relocation and substantially increased hours and stress. As a result, a family court would not force him to accept the new position. Husband takes the position that the job is only worth it if he does not have to share all of the positive attributes with his ex-wife. Although he is willing to accept sharing some of the additional benefits with her, there is a point where there would not be enough left over to warrant taking the position. From the ex-wife’s point of view, she would like (naturally) to share as much of the increased income as possible. How much? She doesn’t say. How much would husband have paid? He doesn’t say, either. The result of the suspicion and mistrust is that the husband rejected promotion and both parties lost. In Sylvia Nasar’s biography of John Nash, “A Beautiful Mind”, she describes Nash’s obsession with game theory, which resulted in a Nobel Prize in Economics. While not professing to understand much of the extraordinary complexity of the mathematics, I also see a correlation between game theory and divorce settlement negotiations. In fact, some game theory explains the importance of how divorce negotiations can be handled for the benefit of all involved. For example, take the famous puzzle “The Prisoner’s Dilemma”. Originated by Nash’s contemporaries at Princeton, the puzzle posits that two people are arrested for the same crime. Since the police do not have sufficient evidence to charge either one, they separate them for interrogation and try to get each one to turn state’s evidence against the other (Having served as an Assistant District Attorney for seven years, this is exactly how real life works!). Each prisoner is told that the other one is betraying him or her and that it would be to their advantage to cut a deal. The “best” scenario is if both cooperate with each other, refuse to talk, and they both walk free. However, if one of them does not cooperate with the codefendant, but talks to the police, the defector will get a reduced sentence, while the other one will get full punishment. If they both talk, they will both be punished, but less severely than if they had refused to talk. The dilemma is that each prisoner has a choice between only two options, but cannot make a good decision without knowing what the other one will do. Isn’t this precisely what happens in standard divorce negotiations? Both parties are meeting with their attorneys privately, each suspicious of what is going on with the other side. If they cooperate with each other, they have the best chance for optimum results for both. What typically happens instead is that the mistrust and lack of communication lead to the worst results for both. In the example of the husband being offered a promotion, cooperation and trust could have worked to the benefit of both parties. Being in separate attorney’s offices while negotiating is akin to the prisoners being separated during interrogation. Another mathematics game described in Nasar’s book is the “zero sum” game. In such a game, in order for one player to win, another player has to lose. A poker game is an example of a “zero-sum” game. In a “non-zero sum” game, on the other hand, all of the players may benefit. Some of John Nash’s Nobel Prize-winning work involved using “non-zero” sum games to describe the working of a nation’s economy, where everyone can benefit from growth. The application to divorce is obvious. Most cases are “zero-sum” games. The more the payor pays, the less he has. Wouldn’t it be nice to negotiate a settlement which expands the pie available, rather than divides it? In the above example, if the husband takes the higher paying job, more money is available for both parties. More typically, by using tax tables, sometimes divorce can be a “non-zero-sum” game, where there is more money to divide between the parties. Why are divorce negotiations usually played as a “zero-sum” game? Again, the mistrust between the parties frequently causes one to believe that “any money going to the other party must come from me”. How can these concepts be utilized in divorce? Divorces can be handled on a cooperative basis. In a cooperative divorce, both parties voluntarily disclose all of their interests without the need for formal discovery. After all, they have to make full disclosure anyway. In a cooperative divorce, all of the cards are immediately put on the table. All appraisers are jointly hired by the parties. Settlement negotiations are handled openly, usually through 4-way meetings with the parties and their attorneys. Collaborative divorce is even better. In a collaborative divorce, both parties have mental health coaches during the settlement process to keep the emotional aspects from interfering with the legal process. As a means of enforcing compliance with the process, both attorneys agree to withdraw from the case if the process fails and the case goes to trial, at great cost to both parties and attorneys. Whether by a cooperative approach or a true collaborative divorce, by placing the “hole” cards of “Texas hold-em” face up, the “prisoner’s dilemma” can be eliminated by having the negotiations take place in the open, rather than in secret. By doing so, the divorce “game” can become a larger game than “zero sum”, to the benefit of all involved. Other methodologies hopefully will develop over the years in addition to cooperative and collaborative divorce. It is hoped that these methods can be improved by means of other disciplines – be they economic or just game theory – to avoid the “lose-lose” scenarios so common in divorce. Perhaps the best “game” theory is when children play and are told “you are all winners”. In divorce, both parties can be winners, as well. 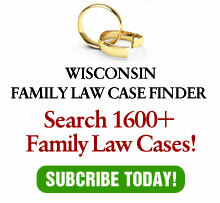 This article originally appeared in the American Journal of Family Law.